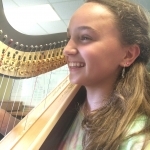 The Young Artist's Harp Seminar can use your support! There are several ways individuals and corporations can help us out. We are a non-profit organization in the state of Georgia and your contribution may be eligible for tax benefits. Program book ads are a way to help the YAHS Scholarship Fund while also bringing attention to your company or product. 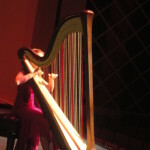 Programs are distributed at all YAHS and PREP, and Guest Artist concert series events. We have a variety of sizes to choose from. 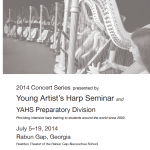 Many thanks to our friends in the harp industry and beyond who support YAHS through advertising and rental harps. All advertising proceeds go directly to the YAHS scholarship fund.